Welcome to the Engineers Club of Columbus website. Our club has a rich tradition spanning 130 years representing engineers in the Columbus area. On behalf of our board, I welcome you to join our club and participate with our nearly 400 members attending events throughout the year. 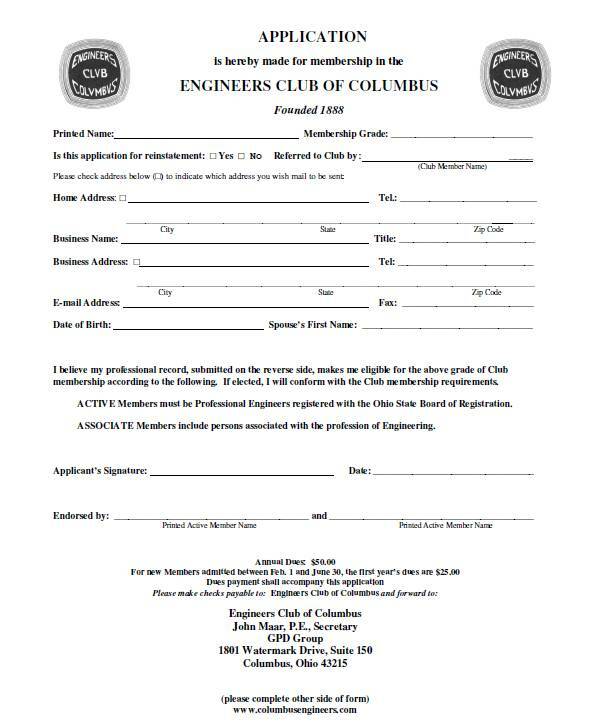 As your president I look forward to continuing the traditions of the Engineers Club of Columbus and supporting our members through the many activities we sponsor. Founded in 1888, the Engineers Club of Columbus, Ohio, provides an environment for its members to advance engineering knowledge and practice; to foster interest in civic activities, charitable causes and professional improvement; and to encourage social interaction. With nearly 400 members, various educational and social forums are held throughout the year to cultivate our member’s technical interests and broaden social associations with each other. Join via our online application on the Join Us section. Or print out an application from the below link and submit it by mail. The Ohio State University is now offering a completely online master’s degree in engineering. The Master of Global Engineering Leadership degree is uniquely designed for working engineers to increase both their business skills and technical expertise. The MGEL features 6 leadership and business courses for engineers, 4 technical engineering courses, and 1 integrative project. Technical tracks are available in automotive engineering, radar systems, civil and environmental engineering, computer science engineering, welding engineering, and materials science. Custom tracks are also available. The Master of Global Engineering Leadership degree graduates will grow as leaders in their engineering fields while enhancing expertise in their subject area. The degree can be completed in 12-28 months. For more information, please visit https://mgel.osu.edu/ or contact the program coordinator, Emery Dravec at dravec.2@osu.edu or 614-247-8256 (call) or 614-918-9223 (text). Check out all the photos from our other awesome events in the Gallery section above!